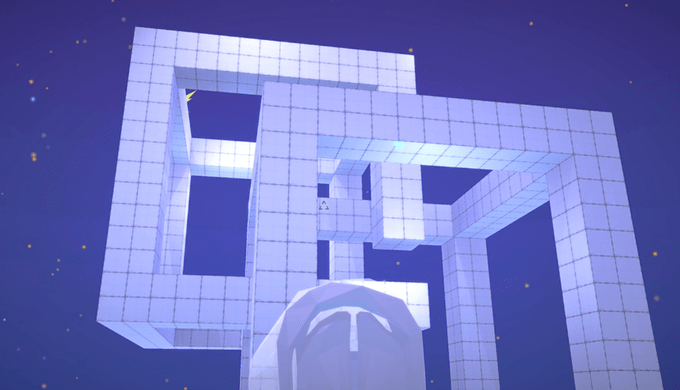 First-person puzzle games have always fascinated me, so it’s no surprise that Finding Gravity, a co-op first-person puzzler currently seeking funding on Kickstarter, has piqued my interest. A quick gander at the game’s campaign page gives you a clear idea of what to expect from this title. It paints a vivid picture of two little plumbobs moving blocks around, switching gravity, and solving what appear to be somewhat open-ended puzzles. Clearly, the devs have already established a solid core idea, and now it’s up to you and the crowdfunding community to decide whether or not this potential gem has what it takes. Let’s take a look. Now, the first thing you may notice about Finding Gravity is that it appears to be a game designed entirely to be played with a friend. 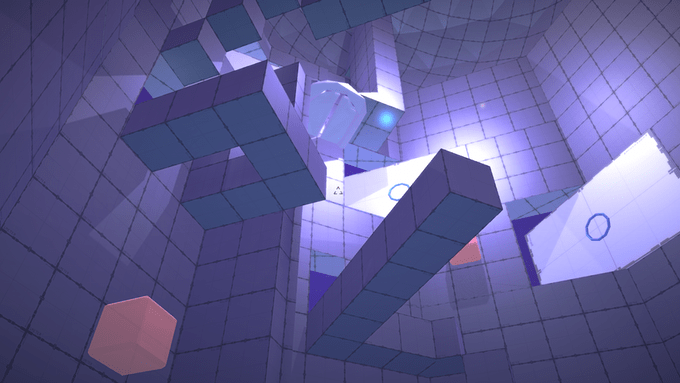 While this certainly comes with its limitations, it’s important to note just how few games are designed from the ground up with a second player as a permanent fixture in your arsenal of puzzle-solving tools. Building onto that concept is the promise of atmospheric exploration and discovery, and while it’s yet to be seen how “atmospheric” self-contained puzzles can truly be, these are ideas that are often left out of the genre. My personal favorite thing about this particular Kickstarter campaign is the fact that the devs have already shown their idea working – not just a simple concept, but a demonstration of how everything will actually work together. While the page doesn’t get too specific about the tools you’ll be using in-game, it does well to demonstrate the atmosphere they’re going for, and the game’s minimalistic look serves the simplistic level design well. When this simple level design meets whatever set of tools and mechanics the game employs, we could have something truly worthwhile to look forward to. The only risks and challenges the developers are expecting are the inevitable bugs that come with every game dev cycle. Normally, I’d say something about additional unexpected risks and challenges, but it genuinely looks like the devs at GRACE Foundry have a solid idea that just needs a little push. If you see a bit of potential in this idea, I have some very good news for you: an early-bird pledge of just $5 can secure two copies of the completed game – one for you, and one for Player 2. With some campaigns charging well into the $20 mark, it’s refreshing to see a campaign set such a low barrier of entry – and thanks to the game’s reasonable funding goal of just $1,150, stretch goals like character skins and Vive support are well within reach. Finding Gravity, developed by GRACE Foundry, could launch as soon as late summer 2016, so go check out the game’s Kickstarter page and take a gander at the reward tiers. The game will launch on Mac and PC with Oculus Rift compatibility and will support controllers in addition to the typical keyboard and mouse setup. The crowdfunding campaign ends on June 10th, so if you’ve felt something missing in your life since Portal 2’s co-op campaign, why not give this one a look? Next articleCan Undead Darlings Rise From the Grave?